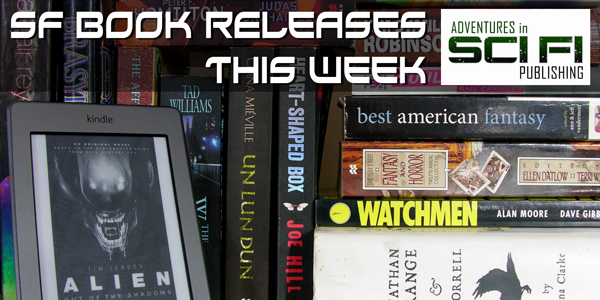 We have a whole month of books available for your SFF BOOK RELEASES THIS WEEK and it’s only April 5th. Don’t be a fool and miss out on any of these though, with nearly 40 books available, you’ll have to make an effort not to see any of these titles. If there’s only one book on the list next week, this is why. As always, if you are an indie or small press author and would like your book included in this list, email us at adventuresinscifipublishing [at] gmail [dot] com. If you love free books, reviews, and podcasts, sign up to our AISFP Wormhole newsletter. Claire, a private and outwardly content librarian, carries a secret: she is wracked with guilt over her twin brother Sam’s accidental death fifteen years earlier. Claire’s quiet life is threatened when Justin, an aggressive business developer, announces the renovation of Farmington’s oldest textile factory, which is the scene of Sam’s death along with many other mysterious accidents throughout its long history. Claire not only feels a personal connection to the factory, but she also begins to receive “visitations” from her brother, which cause her to question her sanity. As Justin moves forward with his plans to renew the factory, Claire, and the town as a whole, discover that in Farmington, there is no clear line between the past and the present. When a lone goblin researcher stumbles across an artifact containing a terrifying message–that the world is in grave and immediate peril–she scrambles to find help. A very unusual asteroid (one constructed as a cage for dragons) is headed straight for the planet, and Xenon is the only person in the world who knows. As she clambers across hill and dale with her quill, journal, and dwindling coin purse to untangle the mystery, she’ll need plenty of luck to find the right clues and the right sort of help. Meanwhile, our heroes have their own problems. They have a bank to rob, a sea to cross, and a kingdom to infiltrate. Luckily, Rime is a wild mage–the laws of reality quiver when she gives them a stern look–and her guardian, Jonas, wields a reasonably sharp sword. But Rime is slipping ever closer to the abyss of madness, and Jonas is wanted for murder at their final port of call. To make matters worse, the mage-killing Hunt and its commander, Linus, follow the duo like a patient shadow, bent on Rime’s destruction. And that terrifies him—as well as distances him from his mate. After suffering mortal injury in battle, Rhage must reassess his priorities—and the answer, when it comes to him, rocks his world…and Mary’s. But Mary is on a journey of her own, one that will either bring them closer together or cause a split that neither will recover from. Tolan of Durrington is a farmer whose ancestors have tended the same lands for centuries with astonishing success. His hope for the future is that his son–and his sons yet to come–will carry on the traditions. But, his carefully laid plans are shaken by the village healer he’s come to love. Unable to bear children, Elethea can offer Tolan only companionship and physical comfort. When hidden powers in their blood–powers to command the fertile earth, to draw from the healing sun–explode into being, their world and lives are changed forever. In the cold spring of 1936, Arthor Crandle, down-on-his luck and desperate for work, accepts a position in Providence, Rhode Island, as a live-in secretary/assistant for an unnamed shut-in. He arrives at the gloomy colonial-style house to discover that his strange employer is an author of disturbing, bizarre fiction. Health issues have confined him to his bedroom, where he is never to be disturbed. But the writer, who Crandle knows only as “Ech-Pi,” refuses to meet him, communicating only by letters left on a table outside his room. Soon the home reveals other unnerving peculiarities. There is an ominous presence Crandle feels on the main stairwell. Light shines out underneath the door of the writer’s room, but is invisible from the street. It becomes increasingly clear there is something not right about the house or its occupant. But saving himself is going to bring him into direct opposition with his former master and the Dark mages surrounding him. And, this time, escaping with his life might mean losing his soul. John sets out on a desperate quest to find a cure for his wife, but his obsession brings him face-to-face with an even more terrifying problem: Theodora’s possession is only one piece of a deadly plot that is threatening the entire world. Because an ancient evil is about to make Earth its battlefield—and without John and Theodora’s intervention, there is no chance for salvation. But before she cloistered herself, Archmage Syrene chose her replacement. The Sisterhood has a new leader, with her own plans for the future of her race. Now Syl and Paul, teenagers in a deadly adult world, must find a way to change the course of history and save the lives of billions. They have but one hope. For Syl Hellais is changing. Amber McNally is a down-on-her-luck flight attendant. She needs this apartment, and not even a fire-breathing dragon with his Irish charm and scorching good looks is going to scare her away. Holing up in their respective corners, a battle of wills ensues. Who will be the first to blink…or give in to their off-the-charts chemistry and decide to make this unorthodox living arrangement a little more permanent? Locals had long whispered about an abandoned logging camp known as Jericho—of the strange disappearances and eerie sounds heard in the woods deep in the night. But these ghost stories only hint at the true evil lurking within the camp’s dilapidated buildings, a primeval malevolence far more terrifying than Lauren’s darkest imaginings. And now, Lauren must face this evil, even if it takes her life, even if it costs her soul. 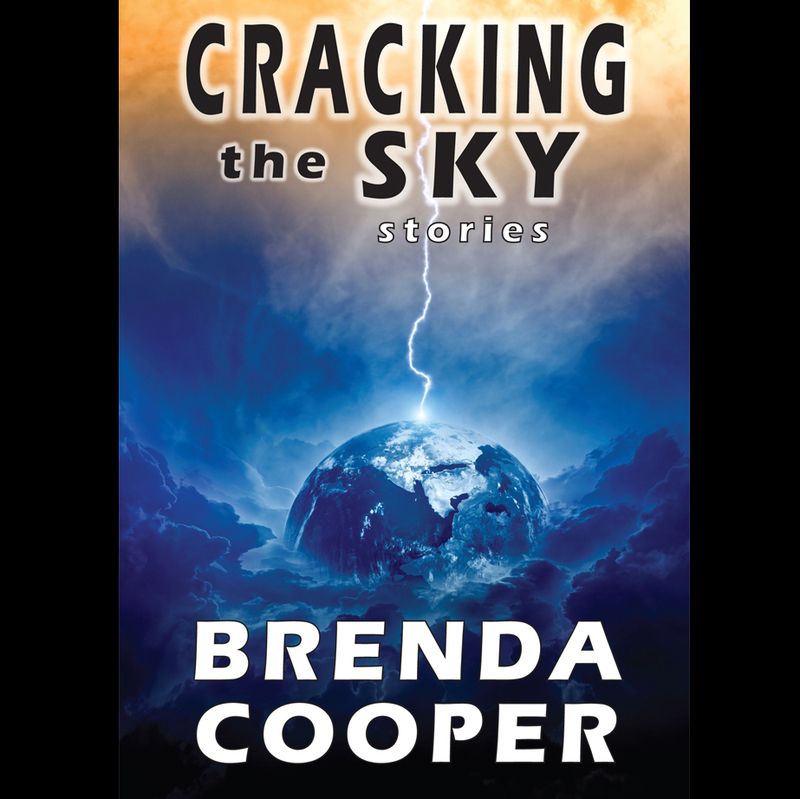 When Jennifer emerges on the new world of Scion, she is confronted by the same deadly enemy. Now the Kasari have sided with the planet’s angel-like elite against the warrior underclass, but with the intent of ultimately ruling both. And when Jennifer is captured by the brutish Koranthians, her alien-enhanced abilities make her a crucial asset in battling the Kasari and their winged allies. Back on a divided Earth, Jennifer’s brother, Mark, and Jack “The Ripper” Gregory wage their own war against the Kasari. 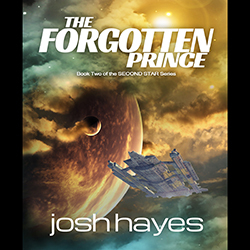 As the global government welcomes the extraterrestrials, Mark, Jack, and their rebel faction seek to use the powerful mind-altering skills gained from the Kasari’s sworn enemies to repel the would-be conquerors. But faced with the might of Earth’s ruling forces, has the cause already been lost? The Horus Heresy is over and The World Eaters Legion needs a leader.Their greatest hero, Khârn, lies in a coma.– but will his awakening save them, or doom them entirely? And Drizzt is going home. But not to Mithral Hall. Not to Icewind Dale. He’s going to Menzoberranzan. Bruenor is ready to march with him bringing along an army of dwarves to end the scourge of Menzoberranzan, but Drizzt needs to see what’s happening there. The dwarf army may not be necessary. The City of Spiders might already have fallen to the demons and their wicked prince. But even if that’s true, what’s to say the demons will stop there? Jack Joyce spent six years trying to escape – escape his life, escape time, escape the madness of his brother, Will. But when he finally returns home, it turns out his brother isn’t quite so mad. Will has created a time machine, one with the potential to save humanity. War? Preventable. Natural disasters? Stoppable.Except for one tiny problem…his machine will also cause the end of time as we know it.Now Jack has just one chance to turn back time, to fix what was broken, to save the world. Among those who know what they’ve seen, and—like the toll of a bell that can’t be unrung—are forever changed by it, are a pilot, an heiress, a journalist, and a prisoner of war. From the waning days of the 20th century’s final great war to the fraught fields of Afghanistan to the otherworldly secrets hidden amid Nevada’s dusty neverlands—the truth that is out there will propel each of them into a labyrinth of otherworldly technology and the competing aims of those who might seek to prevent—or harness—these beings of unfathomable power. Because, as it turns out, we are not the only ones who can invent and build and destroy. On an spring afternoon in 1978 in the loft of a church outside Cambridge, England, an organ tuner named Malory loses his virginity to a dyslexic math genius named Louiza. When Louiza disappears, Malory follows her trail to Rome. There, the quest to find his love gets sidetracked when he discovers he is the heir to the Kingdom of Septimania, given by Charlemagne to the Jews of eighth-century France. In the midst of a Rome reeling from the kidnappings and bombs of the Red Brigades, Malory is crowned King of the Jews, Holy Roman Emperor and possibly Caliph of All Islam. Over the next fifty years, Malory’s search for Louiza leads to encounters with Pope John Paul II, a band of lost Romanians, a magical Bernini statue, Haroun al Rashid of Arabian Nights fame, an elephant that changes color, a shadowy U.S. spy agency and one of the 9/11 bombers, an appleseed from the original Tree of Knowledge, and the secret history of Isaac Newton and his discovery of a Grand Unified Theory that explains everything. It is the quest of a Candide for love and knowledge, and the ultimate discovery that they may be unified after all. Teenager Staci’s father has just remarried, and now she finds herself being shunted aside by her new stepmother. Shunted all the way to the run-down and dying Maine town of Silence, in fact, and the custody of her alcoholic mother. It gets worse. Silence seems to be stuck in the proverbial stone age. There’s no cell phone service except at the very top of a bluff outside of town, no internet except dial-up, and not one familiar franchise or business. Staci’s mom seems to have gotten even worse since the last time Staci lived with her. The only bright spots in the whole place are a friendly waitress at the diner, and a bookstore where she meets a gaggle of geeks and gamers. But all is not as it seems in Silence. There are strange things moving beneath the shabby surface, terrible plots in play, and deadly players in the game, and Staci is about to find herself caught up in the middle of it all. A dragon shapeshifter and a computer mastermind, Ryder is sent to guard Glasgow after a devastating Dark attack. But when memories of an explosive affair come back to him―in the flesh―Ryder cannot help but want to protect the woman who haunts his dreams. Even if means shifting into the dragon he was never supposed to reveal. Kinsey could never get enough of Ryder. His every touch only left her wanting more. But now that she’s seen him in his true form, Kinsey’s world is rocked to the core. She knows that to stay―and feel―alive, she must be with Ryder. But is Kinsey’s passion worth the risk of danger that comes with being a part of Ryder’s dark and fierce world? But First Apprentice Torbidda regrouped, and reformed Concord to his own design. Now he is in absolute control, and plotting the final battle that will pacify Etruria . . . permanently. Contessa Sofia Scaligeri could rally her people once again, but she is far away in the Crusader Kingdom of Akka, trapped with her son, in thrall to the tyrant Queen Catrina. Tolkien himself said that The Story of Kullervo was “the germ of my attempt to write legends of my own,” and was “a major matter in the legends of the First Age.” Tolkien’s Kullervo is the clear ancestor of Túrin Turambar, tragic incestuous hero of The Silmarillion. Published here for the first time with the author’s drafts, notes, and lecture essays on its source work, the Kalevala, The Story of Kullervo is a foundation stone in the structure of Tolkien’s invented world. On a distant mining colony at the far reaches of a galactic empire, vast cities crawl across the surface of desolate planet looking for valuable minerals while their citizens struggle to survive. Victor Stromboli, a professional crime scene witness is nearly crippled by the brutal memories he can’t control or forget. Now, he has to solve the mystery of a missing corporate executive. The only trouble is: the man is the husband of the love of his life. Stromboli has to overcome rogue miners, corporate intrigue and a pair of vicious psychopaths. Or die trying. It’s been a year of upheaval, since Bren Cameron’s return from space–a year since he and the aiji-dowager, one of his most powerful atevi allies, returned home from their two-year interstellar mission to find the government overthrown and their world in chaos. Now, at last, things on the atevi world seem to be on the right track, and Bren hopes that life may soon become much more tranquil. But something is coming, quietly, stealthily–just the first ominous twinkle of a new star in the heavens. Dev Harmer, reluctant agent of Interstellar Security Solutions, has travelled to ocean world Robinson D, nicknamed Triton. Here, settlements belonging to the Terran Diaspora have been coming under attack by members of the planet’s sub-aquatic indigenous race. ISS suspects the involvement of an agent provocateur working for humankind’s galactic rivals, the artificial intelligence civilisation known as Polis+. As the violence escalates, Dev finds himself battling to restore order – but he has only seventy-two hours before his genetically engineered host form breaks down irreversibly. And all as an ancient god-beast rises from the depths to usher in an apocalypse. Byron Dunn is an AISFP contributor, a friend to werewolves, and a passionate champion of spreading book releases out over a month so your friendly, innocent book bloggers don’t have to do a bunch of work at 1am every Tuesday. Some of them have second jobs, you know.